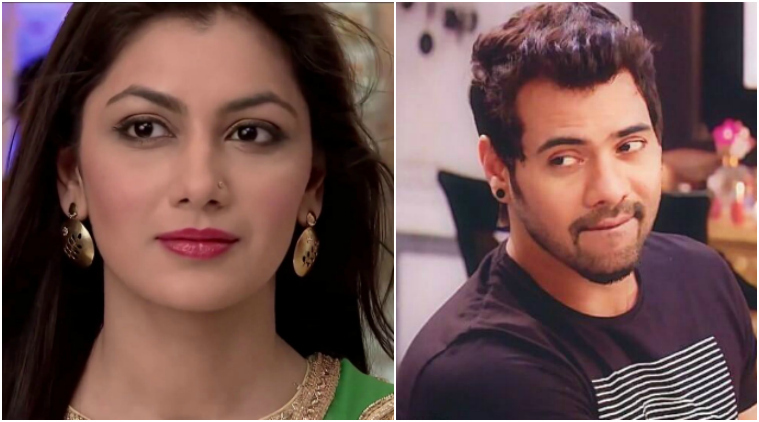 Kumkum Bhagya 24th May 2017 full episode written update: Abhi (Shabbir Ahluwalia) comes in search of Pragya (Sriti Jha) hears Nikhil, but doesn't see his face. Kumkum Bhagya 24th May 2017 full episode written update: Pragya has escaped from the goons. Abhi is still following the tempo and thinks that he should not have let Pragya go. There Nikhil calls Tannu to inform her that Pragya has run away. Tannu shouts at him and says this was her last chance to marry Abhi and he ruined it. She asks him to call the killer and tell him to kill her. Nikhil asks her to go back home and keep a check that Pragya doesn’t call anyone. Goons and Abhi reach the location and Abhi hides his car. Abhi imagines himself saving Pragya like a hero and Pragya getting impressed by him and huging him. He imagines Pragya falling over him and they both staring into each others eyes and Abhi kissing Pragya’s lips. Abhi is back to reality when his lips touch a tree he was hugging. Nikhil scolds the watchman for letting Pragya escape and meanwhile Abhi sneaks in. Nikhil asks the watchman why didn’t he blow his whistle when he got to know that there is something wrong. The head goon says even Nikhil is at fault as he was also present there but Nikhil starts beating him. Abhi approaches the goons and Nikhil and feels that he knows the voice already(which was of Nikhil). There at home Mitali gets irritated and thinks how long they have to stand like this, when Tannu reaches there and her mom starts questioning her about her whereabouts. Tannu yells at her and tells her to stop questioning and asks where was her concern when she came to Mumbai alone. Her mom asks what the matter is. Tannu shouts and says a very important person has gone somewhere which has made her suffer a big loss when Aaliya steps in and takes her to her room. Abhi tries to see the face of Nikhil but is not able to see him. Abhi goes to search for Pragya. Dadi and Dasi think that Tannu must have got to know that Purab is following her. Pragya on her way back home imagines how Abhi would be waiting for her and he’ll hug her.